Inspired by a comment by bharata bharatavanshi. By the early second millennium AD, these descriptions had become more detailed. The retort was to be shaped like a brinjal, or aubergine, the condenser shaped like a datura, or thorn apple flower, and the zinc ore was shaped into small balls, still using the exotic organic ingredients. The Carbon steel from India and Sri lanka are thought to be source for the famed Damascus Steel Swords, used by Saladin to defeat the Crusaders. 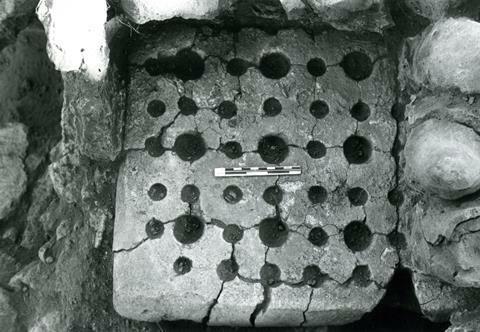 It is the pioneering steel alloy matrix developed in Southern India in the 6th century BC and exported globally. It was also known in the ancient world by many different names including Wootz, Ukku, Hindvi Steel, Hinduwani Steel, Teling Steel and Seric Iron. Wootz steel originated in India. There are several ancient Tamil, Telugu, Greek, Chinese and Roman literary references to high carbon Indian steel since the time of Alexander’s India campaign. The crucible steel production process started in the 6th century BC, at production sites of Kodumanal in Tamil Nadu, Golconda in Telangana, Karnataka and Sri Lanka and exported globally; the Tamils of the Chera Dynasty (Kerala) producing what was termed the finest steel in the world, i.e. Seric Iron to the Romans, Egyptians, Chinese and Arabs by 500 BC. The steel was exported as cakes of steely iron that came to be known as “Wootz”. Wootz steel in India had high amount of carbon in it. Wootz- urukku/ukku steel is probably one of the relatively quite few contributions of very old speakers of Dravidian languages to the world- the only others being Dravidian architecture (not independent of northern temple architecture styles) somewhat, and a type of passionate Tamil (and south Indian? (excluding Kerala which is very Indo-Aryan in ethos?)) bhakti (? I’m having the Nayanmars and Alwars in mind- the Shiva and the Mal/Vishnu religions). And perhaps also literary Tamil’s system of prosody which seems fully native and almost fully independent of the Sanskrit tradition. The ancient Gujaratis (? 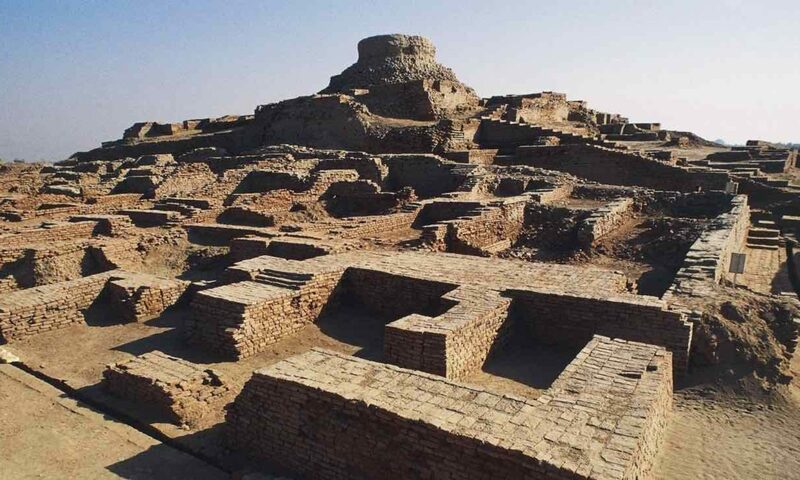 am speculating Dravidians arose at once in the rural cultures of Sorath Harappan or somewhere nearby) did not seem to have attached a great importance to kind of non-passionate and mathematical/logical/sciencey stuff. But it seems they were a very flexible lot who seemed to have gone with the flow at all times- first attaching themselves to the Indus people, then to the Indo-Aryans and now the Anglo-Americans (without ever sacrificing their naturally heavy doses of some general kind of fervour though). Good for them, I think. And well, the good old east Indian Indo-Aryan pioneers of Simhala beat the mightiest of the Dravidians who were the Tamils even in the field of discovering and settling an island practically just next door to them lol. And I remember reading somewhere that writing may have come to south India from Sri Lanka rather than east India- quite an intriguing possibility really; but I don’t know how likely it is. Well, it is not a certainty definitely, of course. I just wanted to sneakily push the idea forward as the truth and you wasted no time in catching me red-handed! But I’m quite conservative though and wouldn’t normally say things like that (or it’s that I like to think that it’s the case) so unabashedly and in this case, my reasoning is based on the observations that the Romans were somewhat fond of what is called “Seric” iron (Seric referring to the good old Shyama Sundara Kera Kedara Bhumi), south India having a relatively strong and early tradition of iron metallurgy, and all the honcho Dravidian languages of Tamil-Malayalam, Kannada and Telugu having what seem to be painstakingly derived native terms for ‘steel’- “urukku” from the root *ur meaning ‘to dissolve, melt’. But the native word could be a calque though and I did not pursue that possibility so far for available languages like Indo-Aryan, Munda, etc. Let us see if we can get close to knowing more conclusively who invented the wootz steel, in the future. But it seems all extremely silly though- thinking about wootz steel what with all the advanced theoretical and applied chemistry which originated in some other cultural traditions anyway and all the indigenous wootz steel tradition is I think, fully extinct also. It’s that the passion to know about remote ancient things and appropriate them does not die down fully. Anything but Indo Aryan. Thats modern (Max Muller) speculation is based on the similarity of Classical Sinhala which is based on Pali to Sanskrit. 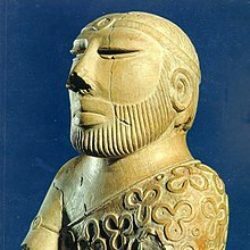 East Indian Mayuras were not Indo-Aryan. The Greek sources are the oldest recorded versions available, state Chandragupta (born near Patna,Bihar) to be of non-princely and non-warrior ancestry, to be of a humble commoner birth. According to Kaushik Roy, both Chandragupta Maurya and the Nanda dynasty he replaced were of Shudra lineage. See more on Asoka/Chandragupta in comments on the-indian-psychosis. Some day put it all together as post. In the Sinhala histories (Mahavamsa/Culavamsa etc) the Arya are considered the enemy. I would argue that we (Sinhala and Tamil) are a pre Dravidian peoples. I would think the Keralites to be the same with a thin veneer of Indo Aryan incorporation into language. The inner core of the pre-dravidian culture is still there and being revived. The answer will soon be found in genetics. Some day the AASI component. I was mainly having linguistic identity in mind only- Pre-Sinhala may have been an eastern Indo-Aryan language like Magadhi or something- am not very familiar with Indo-Aryan linguistics. Regarding ethnic identity, it appears to me they were from some kind of a para-Vedic Indo-Aryan tradition, whose ancestors may have separated from those of Aryavarta Vedic Indo-Aryans before the ritualistic Yajurveda, etc. were developed or became quite popular, perhaps the latter (I’m just guessing). The Vedic religion in those regions seems to have been relatively weaker compared to Buddhism. And yes, many of the royals like Nandas, etc. probably were Shudras as you said and thus as “peoples” they can perhaps very rightly be called “Pre-Indo-Aryan”. Same goes for many people of Tamil Nadu as you said again (except for the part of ancestry responsible for the spreading of Dravidian language into the region), who are also “Pre-Dravidian”. About Sri Lanka, I personally don’t know much- I guess it depends on how the native Vedda people of Sri Lanka were integrated into the newly arrived elite east Indian transplant society in the beginning and I hope you can enlighten us more by writing about the prehistory and early history of Sri Lanka. Regarding music, it is my wish that the sort of comparison that you made- linguistic, structural, etc. be made more systematically and as a subject. Perhaps it already exists and I don’t know because I’m not knowledgeable about music to any degree at all and didn’t try to look up. Also, I always had the feeling that many native south Indian music traditions are pre-Dravidian- things like kombu, idakka, etc. of Kerala, for example. My knowledge about the subject stops there though and I can’t contribute any thing more significant. Regarding the Sinhala words Kolam, Thovil that you provided- I don’t know their etymologies because of Sinhala being Indo-Aryan but the word Thovil does not seem Dravidian in that the Dravidian Etymological Dictionary does not seem to have an entry for it, on a cursory lookup. But there is a tradition in Tulu Nadu called Buta Kola and the word Kola there means ‘play, performance, festival’ and it appears it has cognates in some Dravidian languages (http://dsal.uchicago.edu/dictionaries/burrow/ 2240 or 2237). The etymology of the Sinhala word Kolam, I wish to pursue a bit later as I don’t have the required amount of time on me currently. how did the Sinhalese leap frog the Dravidian territories. I thought Singhalese was related to Gujarati not Oriya? Answered before: Gujarati/Sinhala Language is incidental. Sanskrit/Pali component. Language and genetics may rhyme, but not necessarily. About the settlement of Sri Lanka by people of the mainland being first done by pre-Sinhala speakers as opposed to the next door Dravidian Tamils, I have no idea. I have always wondered about the same. I have always imagined pre-Sinhala to have been brought to the island by seafaring (directly from Bengal or Gujarat wherever it was to Sri Lanka) rather than land migration but I don’t know if that’s a thing (hypothesis) anywhere. Regarding music, it is my wish that the sort of comparison that you made- linguistic, structural, etc. be made more systematically and as a subject. I am no expert/pundit. A dilettante. Just see similarities. Please google Tullai (either videos/images) and then Thovil. Dont need to be an expert to see they are the same (not even similar). Same with Kollam and Kolam dance. Iddaka drum. The same drum is called udekkiya in Sinhala. The same with Kombu; its called Kombuwa in Sinhala (and also a letter that looks like the instrument). Google search needs “Kombuwa Instrument”. The Veddas are separate enough genetically. Sinhalese (or Tamils) are not defined by Vedda genes (unhappily). The Kalingas and Bengalis define the start of the Mahavamsa. There are references in the Mahavamsa to Yaksha and Naga. I think the existing population around 500BC were not much different from Eastern India. Some genetic studies indicate overlap between Bengalis (probably the lower castes), Tamil Nadu and Sinhalese. One of these days will try to put a coherent explanation. Thank you very much for the above! It was very helpful for me. The most important point is loss of caste by crossing the ocean. Before Hindu culture (and caste) took over south india, it was a mix of Buddhism and animist type beliefs. The original South Indians for sure were part of Lanka. The non “Hindu” traditions of East India/Kalinga was one reason why they were able to cross ocean to Cambodia and Indonesia. I wouldn’t say non “Hindu” was the reason, The whole Funan /SE asia origin story is based on the brahmin Kaundinya. Its strange there is almost no mention of Lanka in any Kalingan lore at least AFAIK, even though there is of Java. Thats quite odd, re no mention of Sri Lanka in Kalinga text, specially pre 12th Century AD. Maybe other the older names for Sri Lanka, e.g. Lakdiva, Tambapanni. Was there a city called Sinhapura in Kalinga. Searched online, not found by me. N the country of the Vangas in the Vanga capital there lived once a king of the Vangas. The daughter of the king of the Kalingas was that king’s consort. an invader who is remembered primarily for his aggressive conquest. I believe that Cyrus the Great and Buddha lived long before when Indologists think they lived. Jaydeepsinh Rathod believes that the historic Buddha lived more than 1,000 BC. Buddha is considered the 9th incarnation of lord Vishnu and is worshiped in many Hindu temples and Hindu puja rooms. Since Asoka sent Mahinda to Sri Lanka to introduce, Buddhist priests in Sri Lanka (and Myanmar) there was only one consistent dating system. The year after Buddha. Every event was recorded as the Year after Buddha. The Shudra/Dalit are not Arya. Not hindu in History. Chandragupta, Asoka were Shudra’s. The Brahmins completely erased them from history. Show me a pre 15th century text, poetry, history and I will admit I was wrong. The offense of crossing the sea is also known as “Samudrolanghana” or “Sagarollanghana”. The Dharma Sutra of Baudhayana (II.1.2.2) lists sea voyages as first of the offences that cause the loss of varna. The Dharma Sutra suggests a person can wipe away this offense in three years by eating little at every fourth meal time; bathing at dawn, noon and dusk; standing during the day; and seated during the night. The reasons behind the proscription include the inability to carry out the daily rituals of traditional Hindu life and the sin of contact with the characterless, uncivilized mleccha creatures of the foreign lands. The fear of crossing the seas also derives from the notion that it entailed the end of the reincarnation cycle, as the traveler was cut off from the regenerating waters of the Ganges. sbarrkum, orthodox Brahmin Hindus practice Prāyaścitta after crossing the seas. This is true. My point is that many practicing Hindus have sailed the seas and practiced Prāyaścitta afterwards. Including to Bali, Java, Sumatra, Vietnam, Cambodia, Thailand, Burma, Iran, Baluchistan, Sri Lanka. These (along with Uzbekistan, Turkmenistan, Tajikistan, Afghanistan, Tibet were considered part of historic Bharat before 632 AD). You are right that some crazy orthodox Brahmins created stereotypes. But they were crazy and didn’t have scriptural support for their craziness. I was recently told by a Filipino that thousands of years ago there were many Hindu temples in the Philippines and that there were many Filipino Hindus; and later many Buddhist Hindus. Many Hindu deities are also represented in Japanese Buddhist temples. I am not sure how they fit into the historic Arya culture. Why would Shudras and Dalits not be Hindus? Hindus consider anyone who thinks themselves Hindu to be Hindu. In addition Buddhism, Jainism, Ajivika, Charvaka, Sikhism are also considered to be branches of Hinduism by Hindus. This is why Buddhists have had representation in major Hindu bodies for thousands of years. Almost every temple, library, university in greater India were destroyed during Islamist invasions and occupations. Over 99% of the history is lost on everything–science, math, Chandragupta Maurya, Ashoka, pre Buddhist India. Funny. It Islamic countries like Pakistan, the struggle is over who is a true Muslim. In India, the struggle is over who is a true non-Hindu. Yes, this is very ironic. Sikhs for example are adamant that they are not Hindu. Someone even wrote a pamphlet one hundred years ago called “Hum Hindu Nahin”. Let people identify as they like. Life would be so much easier. Ahmadis are Muslim as they self-identify. Finally, some clarity, yeehaw!! I did not write the Constitutional Amendment that made Ahmedis non-Muslim. I was not even born at the time. As a common citizen of Pakistan, I have no power to change this law. But where did I imply that I approved of it? Let God judge who is a true Muslim or not. Ashoka was not lost in India but became just one of the many rulers in the Hindu tradition. Even now one needs to corroborate historical info about ancient India from the texts of nearby regions since lot of text which is mentioned in Indic sources is not directly available but is available in parts as translated text. For e.g. from Tibetan, Chinese, Sri Lankan etc. regions. The post “The Indian Psychosis” got removed as i was posting this response & so i thought i will mention it later if the issue again comes up & saw the same argument here so i am posting the response here. IIRC, a scene in the Turkish Dervish serial Yunus Emre also had a line about Indian swords being the best.